There are many ways to give to Pittsburgh Mercy. When you make a gift to Pittsburgh Mercy, 100 percent of your contribution is directed to the program of your choice. You can direct your gift to the area of greatest need or the Pittsburgh Mercy program that matters most to you. Need help choosing? Visit Every Gift Helps. We’ll gladly offer ideas to match your interests. If you don’t indicate your preference, we’ll apply your gift to the area of greatest need. Pittsburgh Mercy is a registered 501(c)(3) nonprofit organization. Your gift is tax-deductible to the fullest extent of the law. Your gift will be promptly acknowledged in writing for your records. However you choose to give, thank you for giving hope to those most in need. Your online safety and privacy are important to us. Online gifts are processed through a secure website operated by an independent, third-party vendor. For more information, please contact us at 724-934-3537. Please include a note to let us know whether you’d like your donation to be applied to the area of greatest need or a specific Pittsburgh Mercy program. Pittsburgh Mercy accepts gifts in-kind that help us to achieve our mission. If you’re interested in making a gift in-kind or a donation to one of our programs, please contact us in advance to discuss our areas of greatest need. Note: Due to the volume of gifts we receive, we are unable to pick up gifts in-kind. Please do not deliver gifts in-kind without making arrangements with us in advance. Please consider making a tribute gift to Pittsburgh Mercy as a way to acknowledge special individuals, living or deceased. With your gift, please include the name of the person you’re honoring as well as and the name and address of the person you’d like us to notify of your thoughtfulness. Please consider including Pittsburgh Mercy in your will or living trust. It doesn’t affect your current assets. It allows you to achieve your financial goals. It can help reduce your estate taxes. It costs nothing now, yet it can bring you the immediate satisfaction of knowing you’ve made a gift with a positive, lasting impact to an organization whose mission, values, and work are important to you. An outright, charitable gift from your estate in a pre-designated amount of your choice. A percentage of your estate through your will or through beneficiary designation in your retirement plan or life insurance policy. The amount remaining after providing for other commitments. For more information, please contact us at 724-934-3537. If you’ve already provided for Pittsburgh Mercy in your planned giving, thank you for your generosity and support of our mission. If you or your partner works for a company or organization with a matching gift program, your donation to Pittsburgh Mercy has the potential to do even more good. Please ask your employer for details about their matching gift program. If you’d like to make a recurring gift to Pittsburgh Mercy quarterly or annually, please contact us at 724-934-3537. By sponsoring or participating in Pittsburgh Mercy special events in person or online, you support vital programs and services that touch the lives of people in need in our community. Pittsburgh Mercy’s Operation Safety Net® is our award-winning, innovative outreach program to persons who are experiencing homelessness. We’ve helped more than 1,600 people who were once homeless to find and transition into homes of their own. Given our success, we’ve created The Way Home, a new fundraising program dedicated to that mission. The Way Home focuses on finding homes and providing important follow-up services to 200 persons in Allegheny County who are experiencing homelessness. With a fundraising goal of $500,000, The Way Home can go a long way in helping to solve a social problem that affects many in our community. It’s our hope that individuals, organizations, corporations, schools, and faith communities will join in our efforts and help raise $2,600 to transition an individual into housing. With your help, these individuals can find not only a home, but also safety, security, and hope. If your school, youth group, civic group, or business would be interested in partnering with us to help end homelessness, please let us know. For more information about The Way Home or to get involved, please contact Connie Murray at 724-934-3537. Irises for Hope note card sales benefit Pittsburgh Mercy. Irises for Hope® raises awareness of mental illness by using the irises depicted in Irises, the masterpiece Vincent Van Gogh painted in 1889 while hospitalized for mental illness. Irises was one of more than 100 works the Dutch artist created during his hospital stay in St. Rémy, France. By using the beauty of this iconic painting to represent mental illness awareness, we hope to reduce the stigma that is so often associated with this treatable health condition. 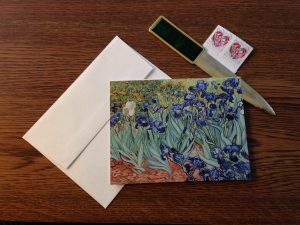 For a $15 donation, you will receive 10 note cards with the Irises image on the front, a blank inside, and 10 coordinating envelopes. The note cards measure 5 1/2 x 4″. Shipping and handling are additional. For more information, please contact Lorry Perkins at 724-934-3538. You’re invited to join Pittsburgh Mercy at the Highmark Walk for a Healthy Community on Saturday, May 11, 2019, at Stage AE, 400 North Shore Drive, Pittsburgh, PA 15212 (North Shore). This unique 5K (3.1 mile) walk and a one-mile fun walk benefits local health and human service nonprofit organizations. 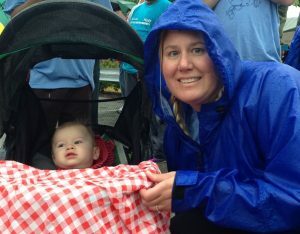 Highmark underwrites the cost of the event, which means 100 percent of every dollar raised by Pittsburgh Mercy registered walkers, teams, and supporters directly benefits Pittsburgh Mercy programs and services. Registration begins at 7:45 a.m. The 5K starts at 9 a.m. The one-mile fun walk begins at 9:15 a.m. This year, donations raised by Pittsburgh Mercy teams will benefit Pittsburgh Mercy’s Operation Safety Net®, our innovative, award-winning homeless services program. We invite you to support the Pittsburgh Mercy Online Spring Auction. Featured items included tickets to Pittsburgh cultural and entertainment venues, attractions, local sporting events, overnight getaways, and more. Be sure to check back for the link! For more information or to donate an item to the auction, please contact Lorry Perkins at 724-934-3538. To coincide with this year’s Reindeer Ball, Pittsburgh Mercy will host an online holiday auction November 1-8, 2018. Shop online for holiday gifts from the comfort and convenience of home. Many of the featured auction items support local organizations and businesses. Ring in the season and create a new holiday memory while supporting families and children in need in our community. Pittsburgh Mercy’s 16th Annual Reindeer Ball will be held Sunday, December 8, 2019, from 4 to 7 p.m. at The Westin Convention Center Pittsburgh Hotel, 1000 Penn Avenue, Pittsburgh, PA 15222 (Downtown). The Reindeer Ball offers a fabulous evening of fun for the whole family. Dressed in their holiday finest, children and their families will mingle with some of their favorite characters and storybook friends. New York City-based RWS Entertainment Group will perform a dazzling holiday revue. Food stations for adults and children will provide a festive holiday meal. 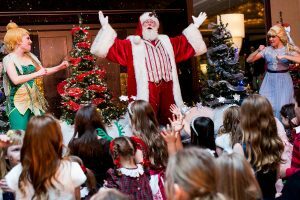 The whole family will ring in the season and enjoy an evening of playing, singing, and dancing with Santa and friends. Tickets are $60 per child and $115 per adult. Proceeds from the Reindeer Ball benefit Pittsburgh Mercy programs and services that help families and children in need. As one of the largest health and human services nonprofit organizations in the region, Pittsburgh Mercy serves more than 33,000 persons annually. Pittsburgh Mercy empowers individuals and families to overcome barriers and lead healthy, successful lives in the community. Many of our programs are unique to this region or address needs that other health and human service providers do not. Several of our programs have received acclaim for innovation and are being replicated by others as best practices. We continue to serve the most vulnerable women, men and children of our community – individuals with mental illness, intellectual disabilities, and addictions, and those who face homelessness, abuse, isolation, and other types of trauma. Tickets will be on sale this fall. Advance ticket sales only. For more information or to inquire about sponsorship opportunities, please contact Connie Murray at 724-934-3537. 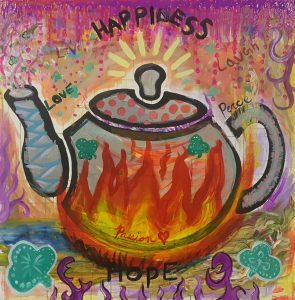 For a $15 donation, you will receive eight note cards featuring a colorful teapot or teacup on the front, a blank inside, and eight coordinating envelopes. The note cards measure 5 1/2 x 4″. Shipping and handling are additional. Pittsburgh Mercy’s Operation Safety Net® distributes new socks to persons who are experiencing homelessness. Due to the amount of time that people who are homeless spend walking or standing on their feet in all types of weather, foot care is an important health issue. Many times their feet are in extremely poor condition. The combination of the elements and dirty socks can lead to infection. Businesses, schools, faith communities, and social clubs are invited to collect new socks for this worthwhile community project. Please consider designating your United Way contribution to Pittsburgh Mercy. Your gift will benefit people right here in Southwestern Pennsylvania. You can direct your gift to help persons who are homeless or are abused, who have a mental illness, an intellectual disability, an addiction to alcohol or other drugs, to support veterans or seniors, or to the area of greatest need. If your employer offers a match, please give them the respective donor code. Pittsburgh Mercy’s Operation Safety Net® United Way Donor Code: 4677. Pittsburgh Mercy is grateful to all of our friends who work so tirelessly to create and build support for the programs that help our community’s most vulnerable individuals. By identifying new ways to raise funds for the many pressing needs and vital programs of Pittsburgh Mercy, you make a difference in many lives. If you’re planning a third-party event to support any of Pittsburgh Mercy’s community outreach programs, please contact us in advance for permission at 724-934-3537.